Collaborating with local friends, neighbors, and businesses, Round Top Productions brings together adults and kids, alike, for community programs that share in the resources and bounty of the region. In 2020, Round Top Productions will open a brick-and-mortar space in the building that was formerly Hartmann's Kaffeehaus, located on Heart’s Content Road in the Greene County hamlet of Round Top. The building is right next door to the fire station and just around the corner from the post office. Round Top Productions will be housed on the second floor — where it will be home to a wide variety of on-going classes, special events, and exhibitions — while Henning’s Local restaurant and Round Top Bon Bon, a chocolate-making company, will exist on the ground floor. Together they plan to partner on cooking classes and workshops, supper clubs, and food-related philanthropic initiatives that will take place in the Heart’s Content building, as well as throughout New York. Norwegian chef Henning Nordanger of Henning’s Local in Sullivan County is pleased to announce the 2020 opening of his second restaurant. Based in Round Top in the former location of Hartmann’s Kaffeehaus, Henning’s new place will also contain a small bakery, cafe, and bar. And like his current restaurant, Henning’s Local Round Top plans to serve his own take on American comfort food (with a bit of a Scandinavian twist) and source ingredients from local farms throughout the Catskills and Hudson Valley, with much coming from Greene County. Born and raised in Bergen, Norway and Escoffier-trained, Henning Nordanger worked in several large hotel restaurants and mountain resorts throughout his home country, as well as for the King of Norway on his royal yacht. After coming to the United States over 20 years ago, he began cooking in New York City, both in restaurants and as a private chef. He moved upstate in 2006 and in 2012 opened the critically-acclaimed Henning's Local in Eldred, a remote town in the western Catskills, and then relocated the restaurant to Cochecton Center, where today it can be found above the historic Heinle’s General Store. Round Top Productions is teaming up with Henning’s Local to bring Babette's Feast to your table. Enjoy a memorable and delectable evening screening this Oscar-winning 1987 Danish movie and sharing in Babette's remarkable meal. Based on a story by British writer Isak Dinesen, the film is not only about food, but also love, generosity, and spiritual fulfillment. Watch a short video clip of A.O. Scott, film critic of The New York Times, discussing Babette's Feast where the meal is "lingered over in wonderful detail." West of the mighty Hudson River and north of Woodstock, the quiet and magical hamlet of Round Top is nestled in Greene County in the lushness of the northern Catskills. Harking back to another time, around here it remains an enchanting place with many long-time family-owned and operated resorts like Reidlerbauer's, Blackhead Mountain Lodge, and Glen Brook Farm (with its own weekly summertime fireworks), old-school German restaurants such as the Bavarian Manor and legendary Mountain Brauhaus (part of Crystal Brook Resort), a small roller rink down the street from the post office, an antique bowling alley inside Winter Clove Inn, and a tavern for music and dancing at Glen Falls House. Situated among mountains, streams, hilly roads, and endless trails, Round Top is an ideal home base for any hiker, biker, camper, or dreamer. And it's just a hop, skip, and a jump to Kaaterskills Falls, North-South Lake, and the magnificent Escarpment Trail, a 23.9-mile adventurer's heaven that summits at Blackhead Mountain. There is also no shortage of family-run farms and local farmers markets including Black Horse Farms, Churchtown Dairy, Coxsackie Farmers Market, Hudson Farmers Market, Lime Kiln Farm, Saugerties Farmers Market, and Story Farms. Venture north to our state capital to see architecture by Wallace K. Harrison, H.H. Richardson, Calvert Vaux, and Standford White, then cross the river to check out Albany's industrial sister city, Troy. Travel further south from Round Top and discover historic Kingston, the state's first capital now experiencing its own renaissance. And the Big Apple is just 120 miles away. With its restorative natural beauty, alluring history, and back country roads, Round Top is truly a hidden gem. Join along in discovering the people and places in this unique corner of the world by getting an insider’s recommendations, from diamonds in the rough to well-established classics. Established in 1881 as the Ernst family farm, GLEN FALLS HOUSE has a long and storied history in the Round Top resort community. In the 1940s the farmland was converted into a boarding house by the Sulger family, who later developed it into a full resort, adding a pool, tavern, shuffleboard courts, and additional guest quarters. 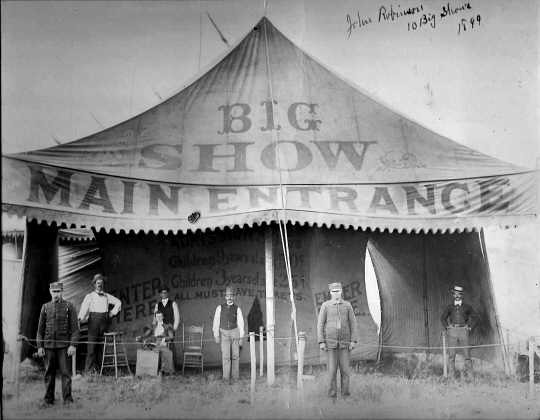 Over the years it became a popular vacation spot for many generations of families. 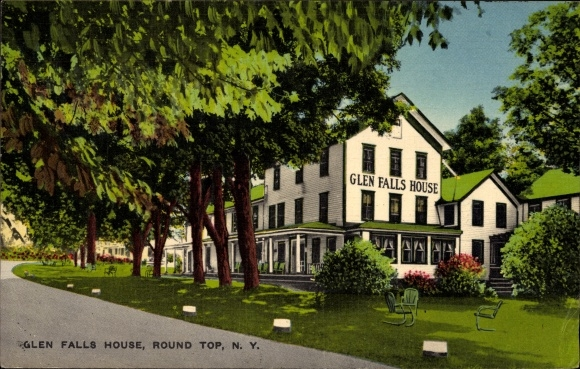 Acquired in 2017 by new owners, business partners Jonathan Picco (formerly of Montauk's Surf Lodge) and Greg Brier (owner of Good Room in Brooklyn), GLEN FALLS HOUSE has been given a fresh contemporary renovation — including over 40 guest rooms and its Trotwood restaurant — while still preserving its quirky and timeless charm. Located on Winter Clove Road, the 46-acre site also has private access to its own secret waterfall and natural swimming hole and is now also the local place to go for music, from live bands to DJs. Round Top Productions will be hosting special events, talks, film screenings, as well as retreats with artists and writers, both from the region and New York City. Another new kid on the block is the PETRONIO RESIDENCY CENTER, a 175-acre peaceful oasis perched high on Crow's Nest Road in Round Top, with views spanning all the way to the Berkshires. Founded in 2018, this not-for-profit non-traditional dance center offers on-site creative residencies for individuals in the performing arts. As reported in The New York Times, it is "a retreat in which to study, work and experiment while cut loose from the overbearing pressures inherent in a choreographer’s day-to-day living." Read the entire article here and learn more about the center's debut class of choreographers. Stephen Petronio is an American choreographer, dancer, and the Artistic Director of the Stephen Petronio Company. The first male dancer of the Trisha Brown Company, he was also influenced by working with Steve Paxton, the experimental dancer and choreographer who was a founding member of the Judson Dance Theater. Considered one of the leading choreographers of his generation, Stephen has reimagined what a dance company can look like in the 21st century. 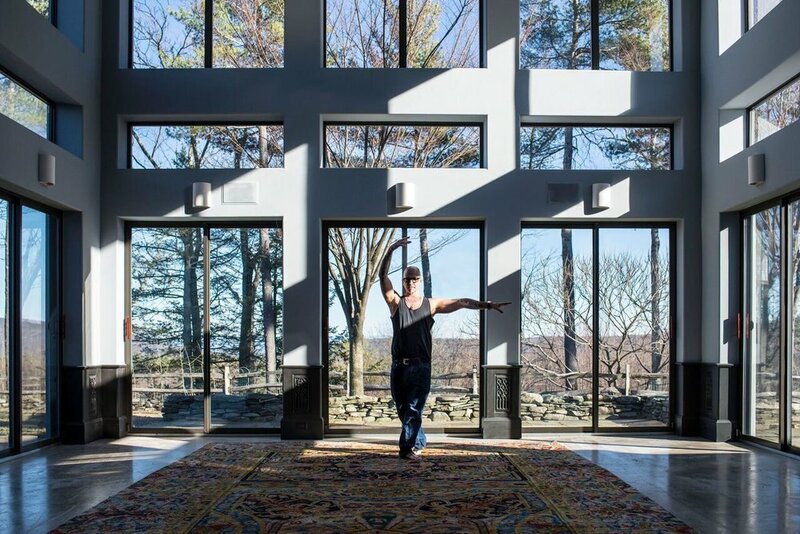 Embracing his own history through his celebrated 'Bloodlines' project — which honors the postmodern masters that have influenced him — continuing his own choreographic passion, and now creating a legacy for future choreographic talent at Crow’s Nest, he hopes to make this home in Round Top an intimate hotspot for the dance world. Round Top Productions is proud to support the mission of the Petronio Residency Center by collaborating on philanthropic events. 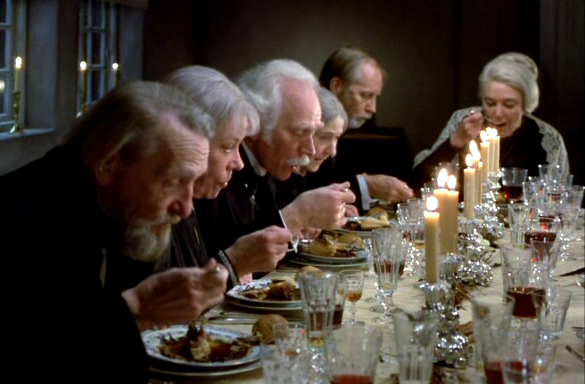 'Babette's Feast' will be offered in a series of exclusive fundraising dinners held at Crow's Nest. Julia Joern was most recently a Partner at David Zwirner, a contemporary art gallery with locations in New York, London, and Hong Kong, where she oversaw a team responsible for marketing, press relations, and special events. With a background in architecture and design, she has had a range of creative professional experiences over her 25-year career spanning the visual arts, photojournalism, and book publishing. 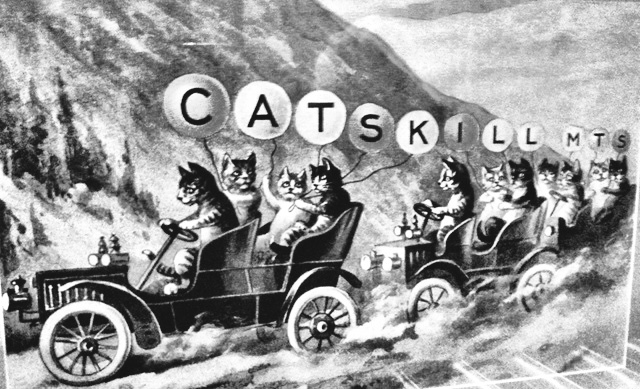 After working in the urban jungle, she now calls Round Top home — after being only a ‘weekender’ for two decades — in order to focus on regional projects in Round Top, as well as throughout the Catskills, Hudson Valley, and beyond.